١ Rescuers evacuate a survivor following earthquakes and tsunami in Palu, Central Sulawesi, Indonesia. Rescuers were scrambling to try to find trapped victims in collapsed buildings where voices could be heard screaming for help after a massive earthquake in Indonesia spawned a deadly tsunami two days ago. 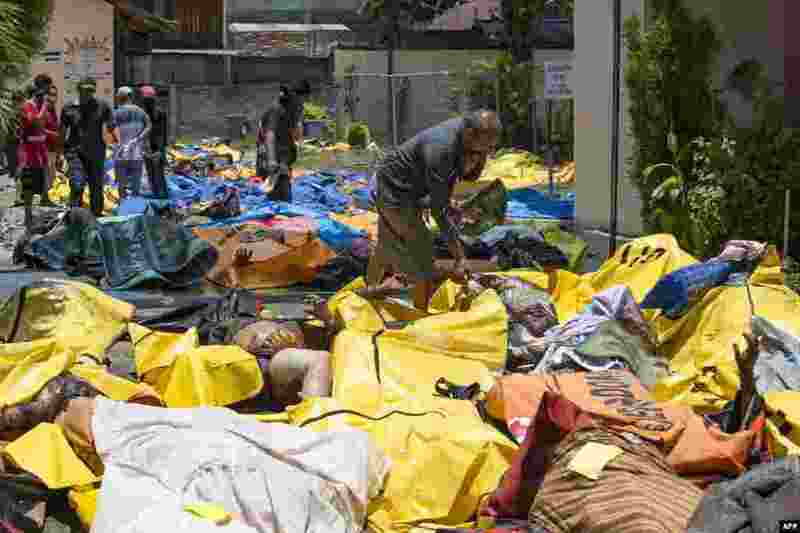 ٢ People attempt to identify the bodies of their relatives at the compounds of a police hospital in Palu, Indonesia's Central Sulawesi following a strong earthquake in the area. The death toll from a powerful earthquake and tsunami leapt to 832 as stunned people on the stricken island of Sulawesi struggled to find food and water and looting spread. 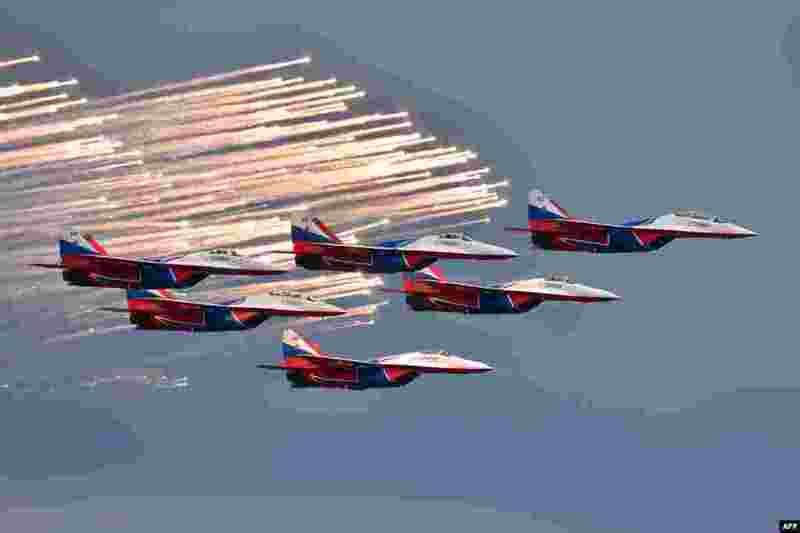 ٣ Russian aerobatic team Strizhi (Swifts) performs before the start of the Formula One Russian Grand Prix at the Sochi Autodrom circuit in Sochi. 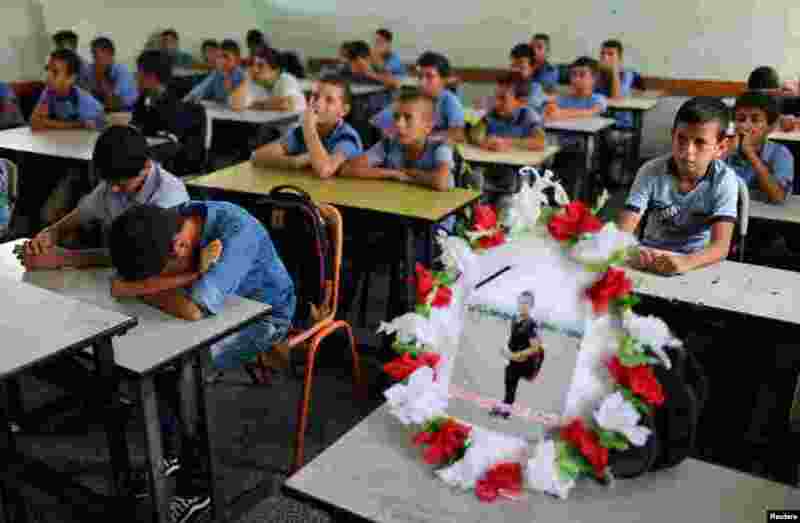 ٤ A picture of 12-year-old Palestinian boy Nassir al-Mosabeh, who was killed during a protest at the Israel-Gaza border fence, is seen on his table as his classmates react at a school, in Khan Younis in the southern Gaza Strip.